One of my presents from Rob...a birthday dougnut! Very yummy. 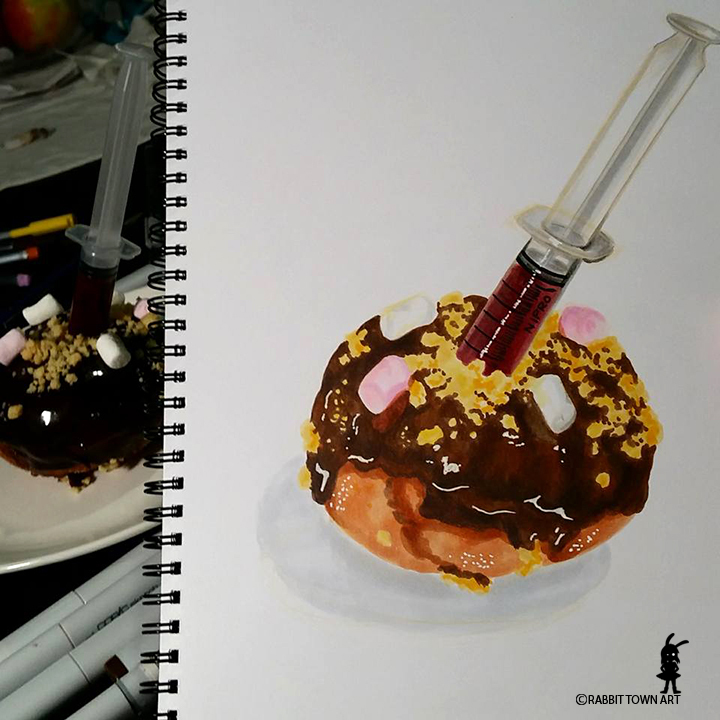 That syringe is full of jam goodness that you inject inside the doughnut. I had a very good weekend. Full of relaxation, drawing, chocolates, greetings and hugs! What more can a girl ask for? Rob and I also went to Daylesford, had hot chocolates and a salted caramel tart and to a lovely pub with great steaks. Mmmm...steak and cake....that's how one should celebrate! Ooh, it rhymed! I also recommend watching Zootopia. Anyhoo...time for shower and bed soon. Back to work tomorrow!